Foreigners have been buying more properties in South Korea in recent years, though the country has a reputation of not being easy to navigate. The housing market is unusual, with huge key money deposits (the Chonsei system), and significant government intervention. Yet judging by results this is a well-run market. It has been stable since the 2007 crisis. Last year, in a typical intervention, the authorities decided to put a brake on the market. In November the Bank of Korea (BOK) raised the key interest rate to 1.75% from 1.5%. The Financial Services Commission (FSC) also released a detailed set of mortgage regulations applicable to loan applications for new mortgages from September 14, 2018. There were anti-speculative measures to curb house prices in so-called &quot;overheated speculative zones&quot;, including Seoul, Gwacheon and Sejong City. The results of all this caution have been good: unsold houses on the market have gone down from 2009's peak figure of 123,297 housing units, to 57,330 units in 2017. The banking system is in good health, with the average bank loan-to-deposit ratio at 115.16 in Q3 2018, down from a range of 120 to almost 140 between 2007 and 2009. Seoul's house price index was up by 6.2% y-o-y (4.8% inflation-adjusted) in December 2018. Country-wide, the national housing purchase price index rose 1.1%, according to the Korean Statistical Information Service (KOSIS). However, when adjusted for inflation, house prices were actually down by 0.2%. Gwangju, the country's sixth biggest city, had the second highest house price rise, increasing by 3.9% during the year to December 2018. Seoul and Gwangju were followed by Daegu (3.6%), Daejeon (2.5%), and Incheon (0.7%). Ulsan, the country's seventh largest city, saw the sharpest price decline of around 6.9%. 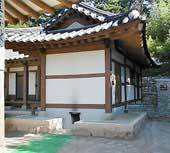 House prices in Busan also dropped by 1.5%. Out of the country's 9 provinces, Jeonnam had the highest house price increase of 2.9%, followed by Gyeonggi (1.9%), and Jeju (1%). The province of Gyeongnam had the sharpest price decline by around 4.8%, followed by Chungbuk (-2.5%), Gyeongbuk (-1.9%), Chungnam (-1.8%), Gangwon (-1.6%), and Jeonbuk (-0.01%). In Seoul a supply gap is driving up property prices (there's a &quot;housing supply ratio&quot; of only about 97.8% of housing actually required (2017)). So the central government has decided to build around 300,000 houses by 2020 in Seoul. In the provinces, on the contrary, over-supply is the problem, with a housing supply to households ratio of 103.5 to 100, according to the Ministry of Land, Infrastructure and Transport (MOLIT)). What the government subsidises with one hand it taxes with the other. In so-called &quot;overheated speculative zones&quot; it taxes dwelling-owners harshly. Households owning two homes have been required to pay an additional 10% in capital gains tax (CGT) upon the sale of a property since April 2018, in addition to a baseline CGT of between 6-40%, depending on the size of the gain and the holding period. Investors with three or more homes pay an extra 20%. In September 2018, the government also revealed plans to impose tougher ownership tax on properties worth over KRW 600 million (US$ 534,093), by increasing the tax from the initial proposal of 0.5%-2% to around 0.5%-3.2%. Property buyers had previously been encouraged to invest by the BOK´s low key rate, cut twice in 2015 ― from 2% to 1.75% in March, then to 1.5% and to 1.25% in June 2016. The country's household debt rose in response by around 6.7% y-o-y to KRW 1,514 trillion (US$ 1.35 trillion) in Q3 2018, according to the Bank of Korea (BOK). Upon conclusion, a property sale contract must be recorded by the foreigner to the head of the Shi/Kun/Ku (city/county/ward). If the property is located in military installation protection areas, designated cultural properties, and ecosystem conservation areas, foreigners &quot;shall obtain permission from the head of Shi/Kun/Ku before the conclusion of the contract&quot; . We tend to experience difficulties in assessing the buying prices for apartments and villas in Seoul, due to the paucity of offers for sale in English language, and this year has been no exception. Our research suggests that both upper-end apartments in central Seoul and villas rent for around US$29 per month per square metre (sq. m.). Because of the difficulty of finding buying prices, we have no gross rental yields figures for Seoul. Rental Income: Rental income tax is from 6% to 42% for limited liability companies and 10% to 22% for stock companies. Value Added Tax on gross rent is 10%. If the rental income is less than KRW24 million (US$21,622) and the property value is assumed to be under KRW900 million (US$810,811), a special method for the calculation of the personal taxable income is used. In the sample calculation provided, effective income tax amounts to 2.48% of the gross rent, given that the annual rental income is KRW20.7 million (US$18,649) and under certain assumptions. Capital Gains: Capital gains taxes are around 6% to 38%. A special deduction applies if the property is held for more than three years. Inheritance: The inheritance tax is between 10% and 50% depending on the property value. Residents: Residents are taxed on their worldwide income at progressive rates, from 6% to 42%. Total roundtrip transaction costs can range from 21.45% to 22.90%. The realtor’s fee is regulated at 0.20% to 0.90%, but actual payments are typically higher. The 10% Value Added Tax (VAT) is imposed on all properties. Buyers must also purchase National Housing Bonds worth 5% of the property value; typically sold immediately at 10% to 15% discount. All costs are paid by the buyer. The rental system in South Korea is pro-landlord. Key Money: With any of the standard rental schemes, the landlord receives a huge amount of money up front, protecting him from erring tenants. In the 'wolse 2' system (the most common for expats), the entire rent is paid upfront, with no refund for early termination. Tenant Security: Tenants are expected to move out of the property as soon as the lease term expires and the key money returned. Exports pose risk to 2019 economic growth; President Moon revives the "Sunshine Policy"
Korean GDP growth was 2.7% in 2018, the country's slowest growth in six years. The economy was mostly supported by government spending, especially in the last quarter, when local governments elected in the June 2018 elections resumed many projects that had been on hold, according to Bank of Korea's (BOK) director general of economic statistics, Park Yang-su. Such spending kept the economy afloat, with all government spending rising 5.8% Private consumption expanded by 2.8%, while lower construction investment (-4% y-o-y) pulled down growth. Semiconductor exports remained buoyant till the last quarter. Yet shipments to China unexpectedly plunged by 14% y-o-y in December 2018, the sharpest drop in more than two years, which caused South Korea's exports to decline by 1.2% y-o-y. "With growth in China and the U.S. (South Korea's two largest trading partners) set to slow in 2019, the outlook for the South Korean export sector is challenging," said ANZ economist Krystal Tan. This was also one of the reasons why South Korea's Finance Ministry recently slashed economic growth estimates to between 2.6% and 2.7 for 2018 and 2019. In January 2019, inflation stood at 0.8% y-o-y, unchanged from January 2018. Unemployment was 4.5% in January 2019, an increase from 3.7% in the same month last year, according to the Korean Statistical Information Service (KOSIS). Military leaders from both countries signed an "Agreement on Reconciliation, Non-Aggression, Exchanges and Cooperation" (or "the Basic Agreement"), which aids in easing military tension between both countries.